If you want to be able to make more laps splitboarding and get more vert next winter, now is the time to start preparing. The Split Fitness offseason training blog series is here to help guide you. The primary goal of this series is to inform splitboarders about offseason training program design. We’ve already released one blog focused on Aerobic Training, in this blog we take a look at Strength Training. While aerobic training should be your primary training focus during the summer and fall, strengthening specific muscle groups can help improve endurance and increase joint stability. 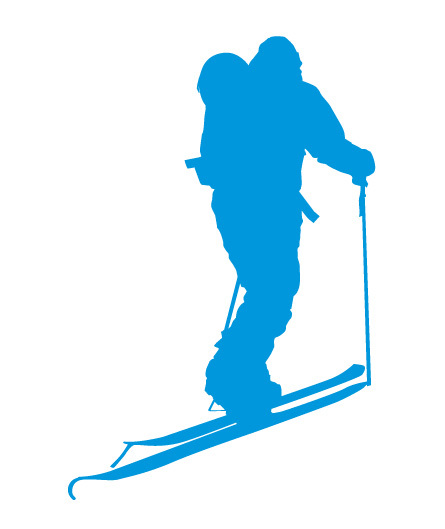 Splitboard touring requires muscular endurance more than strength and/or power. The target muscle groups for splitboard touring are the gluteal muscles, quadriceps, hamstrings, calves, hip flexors, and core. 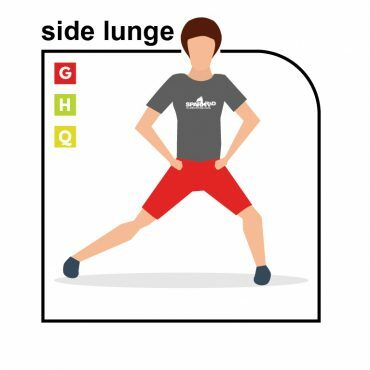 These muscle groups are all essential in splitboarding and function at different parts of your stride and your ride. There are quite a few options for splitboarders looking to increase muscle endurance and strength. Below are several options for various types of offseason strength training. It is important to remember that our muscles seldom work in isolation; your core and leg muscles work together while touring uphill. Dynamic, coordinated movements are especially valuable in providing athletes with functional and sport-specific strength. Bodyweight training is an excellent option to help boost muscular endurance, flexibility, and balance. 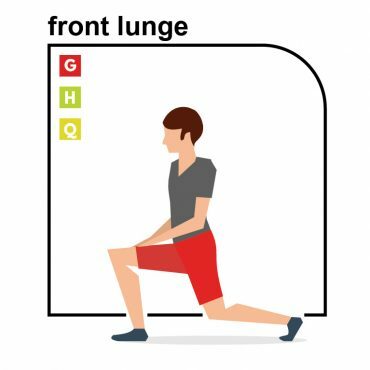 Conveniently, many of these exercises can be performed in your living room or lawn. In general, performing more repetitions per set (2x15) will help to increase muscular endurance. You can also improve muscular endurance by decreasing the amount of rest between repetitions or sets. If one of your training goals is to build muscle volume, try performing a greater number of sets with fewer repetitions (3x5), or adding small free weights into your routine. 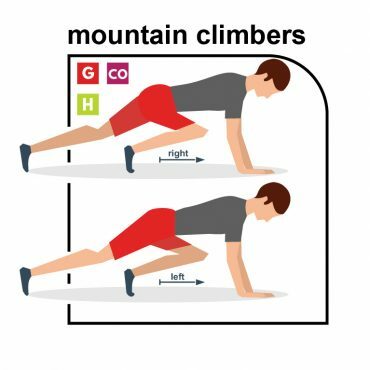 Below are a couple excellent bodyweight exercises that focus on the important muscle groups for splitboarding. There are numerous options for bodyweight exercises. 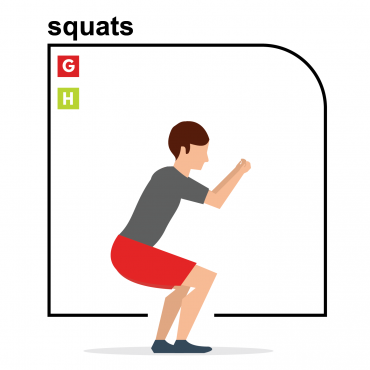 Here are a couple of links to help get your gears turning about bodyweight training. 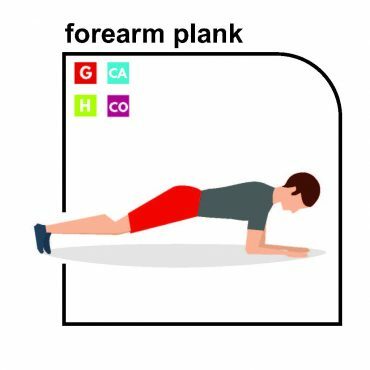 The plank (also called a front hold, hover, or abdominal bridge) is an isometric core strength exercise that involves maintaining a position similar to a push-up for the maximum possible time. 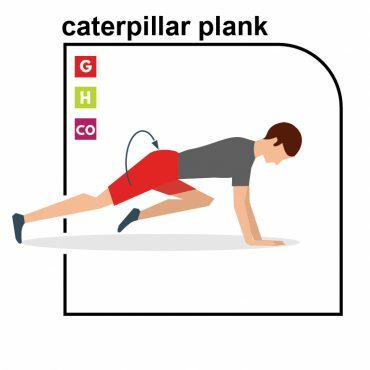 While the plank position is most well-known for core and upper body strengthening, active variations of the plank help splitboarders target specific lower body muscles. 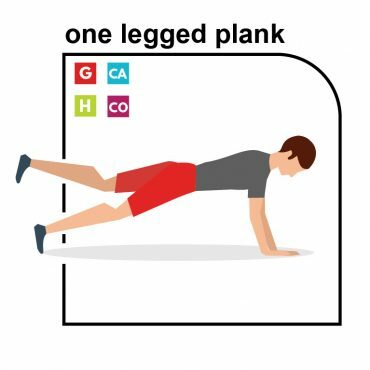 Plank exercises can help improve core muscle endurance through repetition. 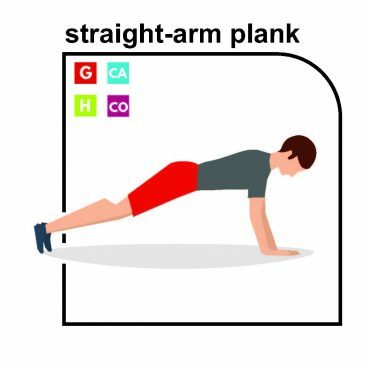 There are many variations you can do on plank exercises. Here are a few resources to get your gears turning on all the options. A quick internet search will turn up many more options that may fit your exercise style and goals. Improve your balance and flexibility, strengthen your core, and practice your mindful thinking. 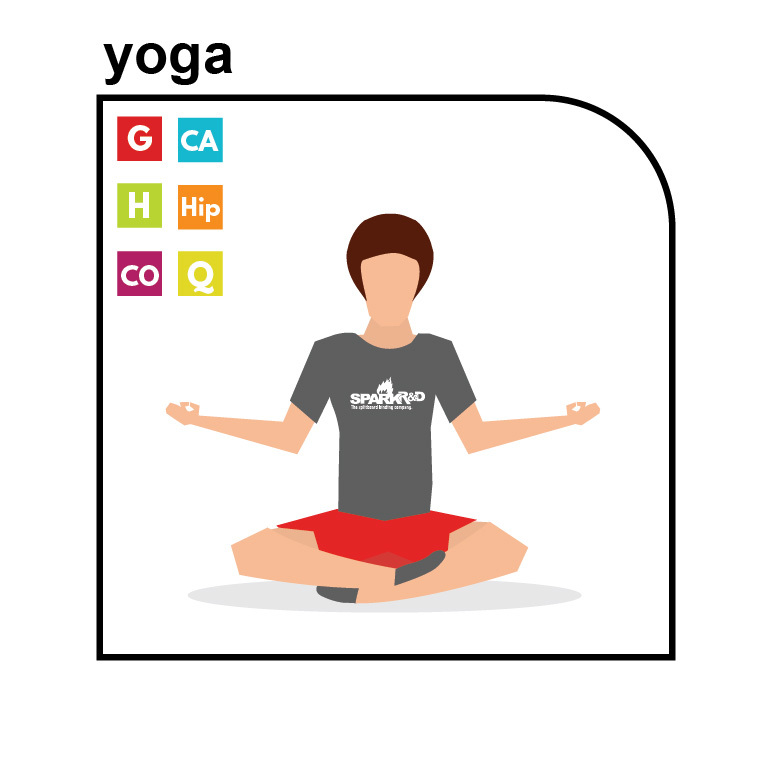 Similarly to the exercises above, there are a wide variety of yoga practices to suit your training needs. Some examples include high-heat and intense Bikram Yoga, restorative yoga, or more classical styles such as Vinyasa or Ashtanga. With a little research, you can find a style that complements your current training program. If you plan to use weights or train at the gym, start by calculating your one repetition maximum (1-RM). This is the greatest amount of weight you can lift with proper technique for one repetition. You can work your way up in weight if you don’t know exactly where to start, or calculate your 1-RM here → http://www.bodybuilding.com/fun/other7.htm. To maximize muscular endurance, complete at least 13-20 repetitions within each set, with weight at or below 67% of your 1-RM. As you progress, increase your loads in small increments, and decrease the time of rest between sets (rest should vary between 30-60 seconds between sets). As a general rule, as the number of reps increases, the number of sets should decrease. Beginners to weight training should target specific muscle groups 2-3 times a week, and intermediate and advanced lifters should target specific muscle groups twice a week. Before starting a training program using machines at the gym, make sure that you know how to use them properly. Ask a fitness center employee about proper technique. Or, better yet, enlist the advice of gym trainer regarding the muscle groups you are looking to strengthen. Jon is more focused on his aerobic fitness than his leg strength, though he still plans to put some emphasis on improving his lower body muscle endurance. Wednesdays: He will be completing a mix of bodyweight and plank exercises once-a-week. These sessions will start at 20 minutes with 3 sets of 10 for each exercise. He'll aim to increase the number of repetitions he is doing each week by 5% - 8%. This will complement the aerobic workout schedule. Samantha, like Jon, is also focused on improving her aerobic fitness. However, one of her goals is to cut down on leg fatigue on her afternoon backcountry tours. She is planning on two trips to the gym each week to work on her lower body. Tuesdays: This will be her weight training day focusing on the lower body target muscle groups – quads, hamstrings, glutes, hip flexors, and calves. She is enlisting the help of a personal trainer to help maximize her workouts. Thursdays: She is bodyweight training to emphasize her core along with lower body muscles. Samantha is starting with sets of squats, lunges, and multiple plank exercises. Her goal is to increase her reps each week by 8% - 10%. Brandon has some lofty goals for next season. He wants to greatly improve his leg strength in preparation for a couple of multi-day trips he has planned. He is also looking for greater confidence on big lines after a long and tiring approach. He will be focusing on strength training four days-a-week. Mondays: At the gym Brandon plans to isolate the target leg muscles with specific exercise machines. Wednesdays: After a short, high-intensity aerobic workout Brandon is returning home for another short workout. He will be doing 20 minutes of plank-style exercise to work on his legs and core. Fridays: Brandon is swimming laps to improve his cardiovascular endurance and strength training. Saturday: Brandon is taking his first yoga class. Taking a beginner Vinyasa class he gets the benefits of Active Recovery while improving his overall flexibility. More details on Jon's, Samantha's, and Brandon's weekly workout schedules, including aerobic exercises, here. If an athlete can perform more than two repetitions over the assigned repetitions goal for two consecutive exercise sessions, then the training load (weight or resistance) must be increased. As you adapt to your training load, the exercise loads must be modified. For example, say an athlete’s goal is to complete 2 x 10 repetitions of single-leg lunges. Once the athlete can complete 2 x 12 repetitions for two consecutive sessions, the weight should be increased. Weight should be increased by 2.5-10%, depending on the fitness and experience of the individual. If your weight increase is too much and you cannot increase your repetition goal, don’t be afraid to take some weight off and move up in smaller increments. Try incorporating stability and balance components into your current exercise routines. A challenging but fun way to do this is by using a bosu ball, physio ball, or foam balance pad. Whether in the gym or at home, if you want to go farther on the skin track next season with less fatigue, it is important to begin strength training now. Targeting specific muscle groups will help ensure efficiency with your workouts while building muscle endurance where it will matter most for next season. You can do this in many different ways, be it at the gym, in your living room, or at the Yoga studio. 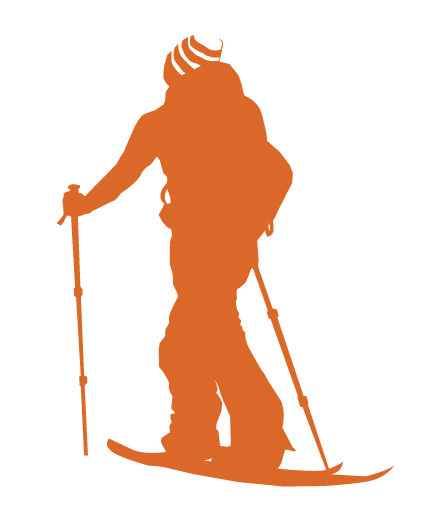 How you do it is up to you, what is important is that you have a plan, adhere to it on a regular basis, and that you start preparing your muscles for the splitboard season now. 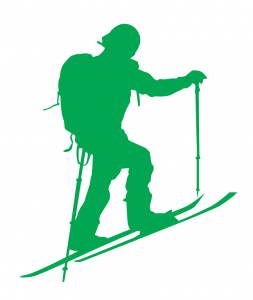 Keep in mind that it is very rare for one muscle group to be working in isolation, especially during splitboarding. As a result, it is important to find exercises that emphasize dynamic movements that require coordination, balance, and stability. This is why I personally place more emphasis on bodyweight and plank exercises than gym machine exercises that isolate one muscle group. The next consideration for offseason training is how to let your body recover - your body needs to repair tissues, adapt to the stresses of exercise, and replenish energy stores. We will talk about active recovery in our next Split Fitness blog post. 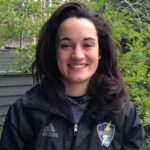 Celine is a graduate student at Montana State University completing a Master’s degree in Exercise Physiology and Nutrition. Her graduate coursework focuses on the physiological and biomechanical processes of skiing, snowboarding, and splitboarding. 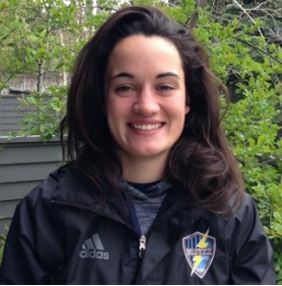 Other than snowboarding and splitboarding, Celine enjoys mountain biking, fly fishing, and coaching soccer in Bozeman, Montana. Baechle, T. R., Earle, R. W. (2008). Essentials of Strength Training and Conditioning, 3rd edition. Champaign, IL: Human KineticsKenney, W. L., Wilmore, J. H., Costill, D. L. (2012). Physiology of Sport and Exercise, 5th edition. Champaign, IL: Human Kinetics Pellegrini, B., Peyré-Tartaruga, L. A., Zoppirolli, C., Bortolan, L., Bacchi, E., Figard-Fabre, H., & Schena, F. (2015).